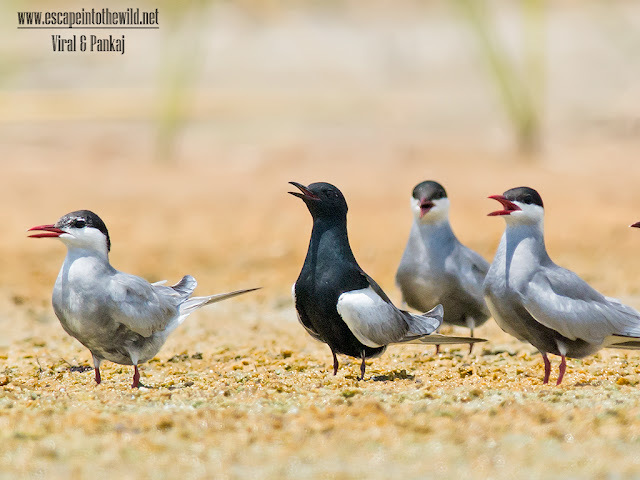 White-winged Tern looks very attractive in its contrasting white wing and black body. We read about White-winged Tern in ebird and saw images on OBI. 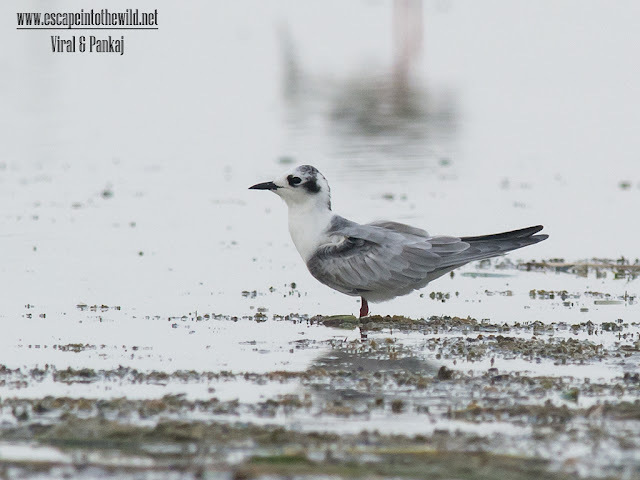 Last season we tried to search White-winged Tern at Nal Sarovar but there was heavy rain when we reached there so we were not that lucky to spot it. Day before we went to Nal Sarovar in search of Black bittern. At late evening, we get nonbreeding of White-winged Tern along with sandpiper and tern. Next day we decided to visit again for breeding plumage. We reached there around 10 am. It was quite hot day. Temperature was 45+. Boatmen had to push the boat in water, as water level was real low. We saw White-winged Tern flying, hunting and resting with group of Whisker Tern. Even we are lucky to spot the partial breeding plumage and nonbreeding White-winged Tern all together into the same group. 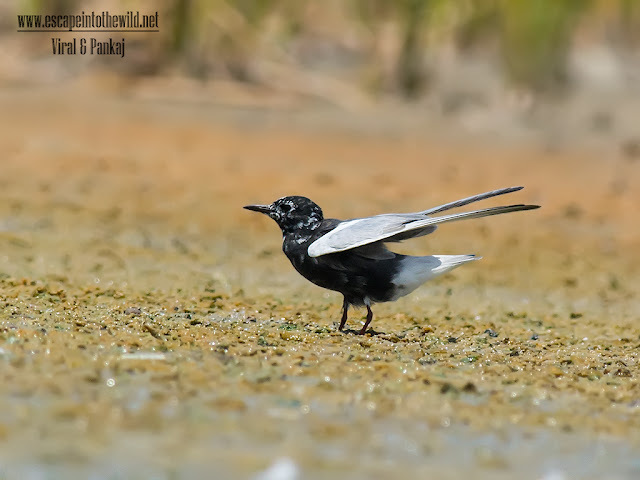 The white-winged tern, or white-winged black tern (Chlidonias leucopterus or Chlidonias leucoptera), is a species of bird in the family Sternidae, the terns. It is a small species generally found in or near bodies of fresh water across much of the world, including Europe, Africa, Asia, and Australia. The genus name is from Ancient Greek khelidonios, "swallow-like", from khelidon, "swallow". The specific leptopterus is also Greek from leptos, "slender", and pteros, "feathered", itself from pteron, "wing"